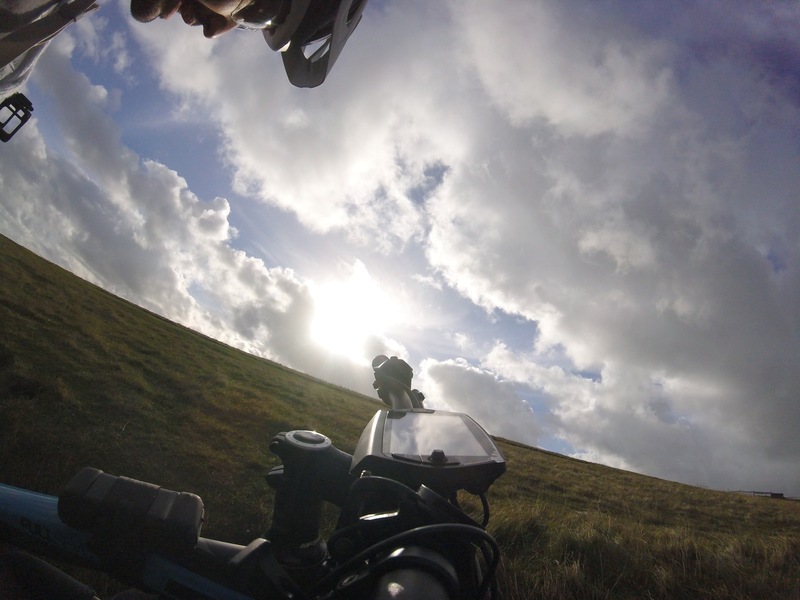 Have had some fantastic rides on the South Downs recently. 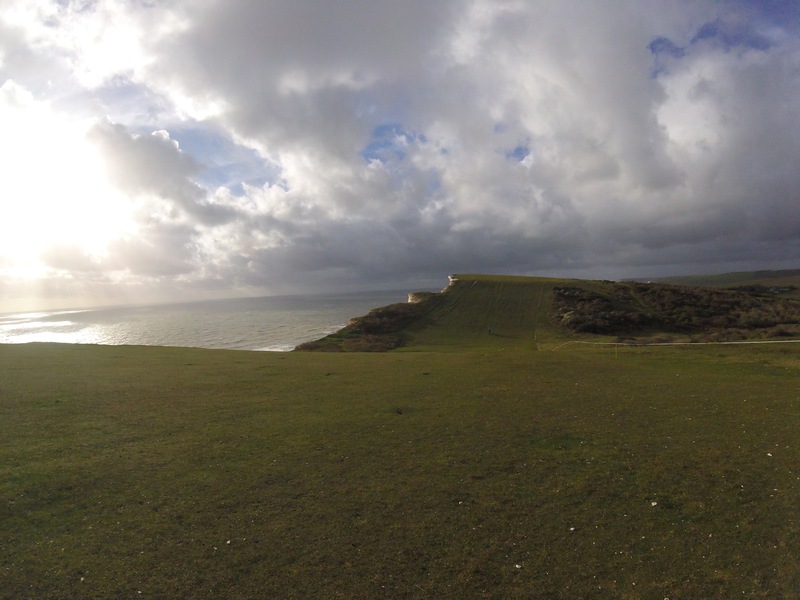 Beachyhead in Eastbourne East Sussex has some brilliant vistas and is currently my favourite place to eMountain. 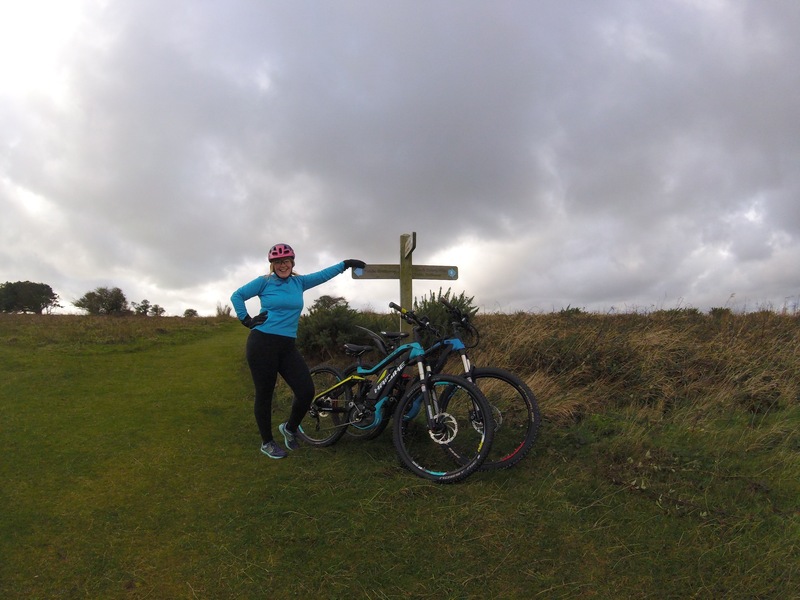 It’s perfect for eMTB as the climbs can be unforgiving and it is often extremely windy because of the updraft from the cliffs. You have to be very careful to avoid riding anywhere near the cliff edge, but that is pretty easily done as in most areas there is a healthy 200 foot area to ride along beside the cliff. If you park at Holywell it is free to park and you can ride all the way to Birling gap and back in an hour and a half comfortably. Take some ice cream or beer money with you! I would recommend you don’t visit Beachyhead on a very windy day as the power is greatly magnified at the top of the cliffs. On an eBike you get blown around less because the bike is heavier but it is still a powerful force of nature you shouldn’t take on unless you are physically prepared to struggle and ride into the headwind. At one point we were rolling downhill and the bike actually slowed to a halt as the wind blew against us. Crazy stuff! The Bosch Nyon system recorded our ride for post ride perusal. It was interesting to see our max speed on a particular downhill stint and the average rpm and total calories burned. Also the map of the route can be saved and shared if necessary. 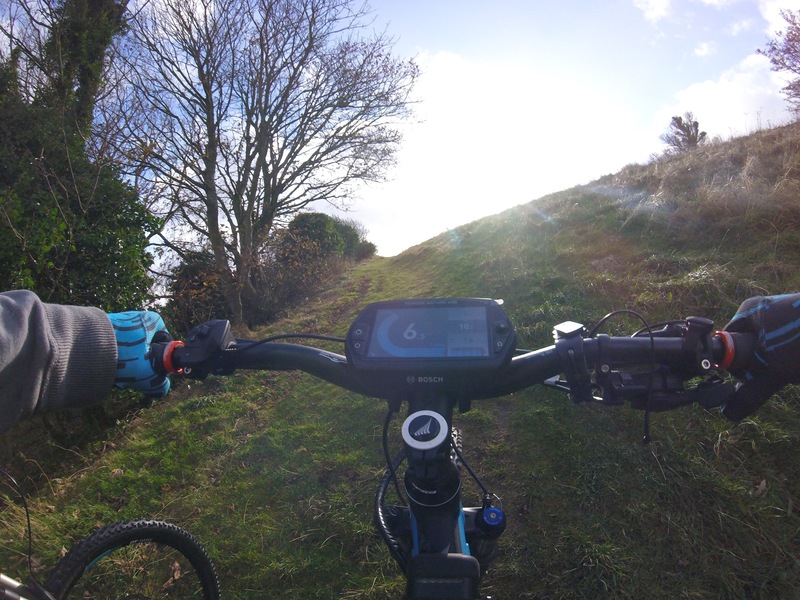 The Nyon system is my favourite Bosch eBike upgrade. We always hold them in stock at eBikeSussex. We were riding Haibike Fullseven RC models (a 2015 and 2016) model. 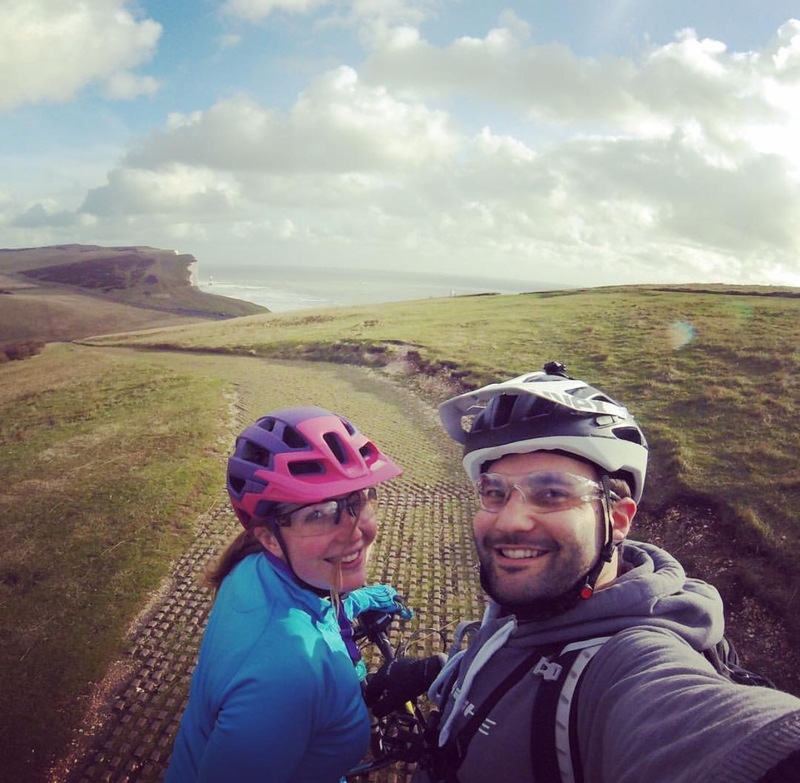 They both took the terrain well and the 120mm travel was ample for light emountainbiking. I would rather have 150mm travel as a minimum for off-road riding though as it does make a substantial difference to the handling at higher speeds when descending. GoPro Session helped to capture the ride! You can just about see the lighthouse in the background. This is a fun descent from either side, awesome views too. Send us your pics if you have a Haibike eMTB. We love to see our eBikes out and about.